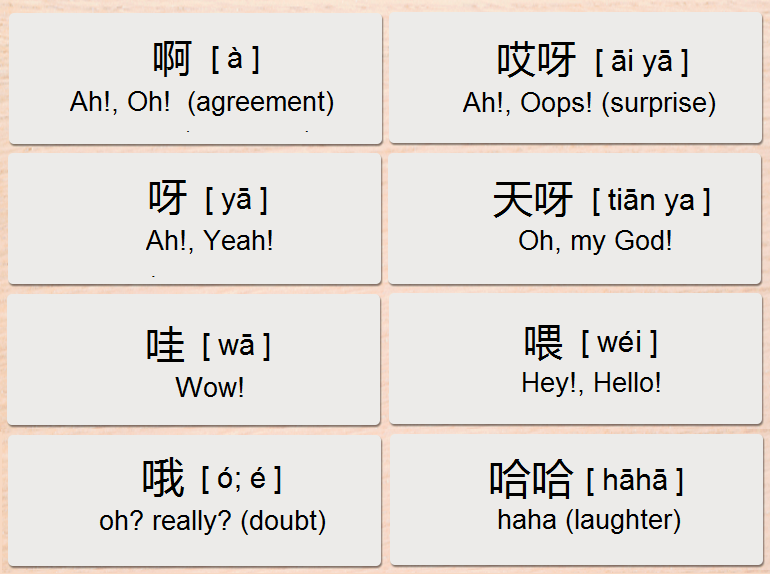 The Chinese language involves many exclamations and interjections. They are used in everyday speech to express various kinds of emotional response. Exclamations are also used in informal writing (e. g., on Internet forums).